Have you got the dull skin blues? Ready for a little spa experience at home, with an emollient scrub that turns over dead skin cells while nourishing the skin, and a clay mask that smells amazing, clears up excess oil and makes the skin feel so soft? I've tried a couple of things before from Valentia - their Even Glow face serum is a Vitamin C powerhouse, and their True Glow Eye Cream became my whole-face saver while on vacation. So I had pretty high expectations of these products going in. 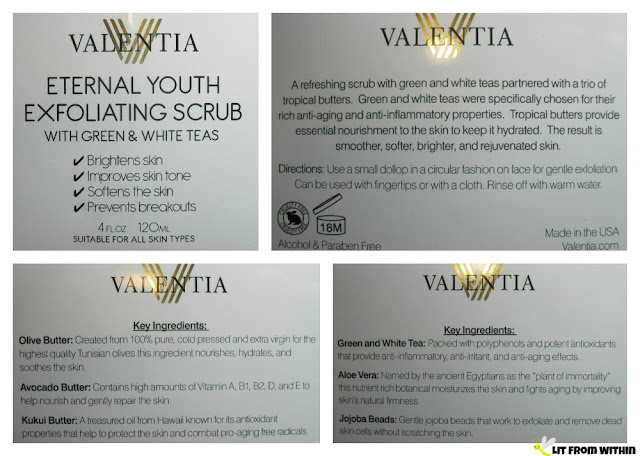 I love a nice exfoliating scrub - anything from a nice soft salt scrub to a gentle buffing. This scrub has jojoba beads that are firm on the skin, but smooth so they don't damage or cut like some exfoliants can. Also, these jojoba beads are not bad for the environment like the banned plastic microbeads can be. The scrub looks and feels like a gel, but is infused with lots of nourishing butters and aloe vera. It has a smell that I like, but I can't put my finger on what it is exactly - it's fresh, a little eucalyptus, maybe some earthiness from aloe or green tea? It's a refreshing, spa-like scent to me. I have aging and oily skin, so using an exfoliant like this at least once a week is important to keep my skin from clogging up and looking dull. I like that it's also full of antioxidants to help neutralize free radicals, and has nutrient-rich ingredients to help with brightness, softness, and inflammation. I've been using it about twice a week, and I haven't had any sensitivities or reactions to it. 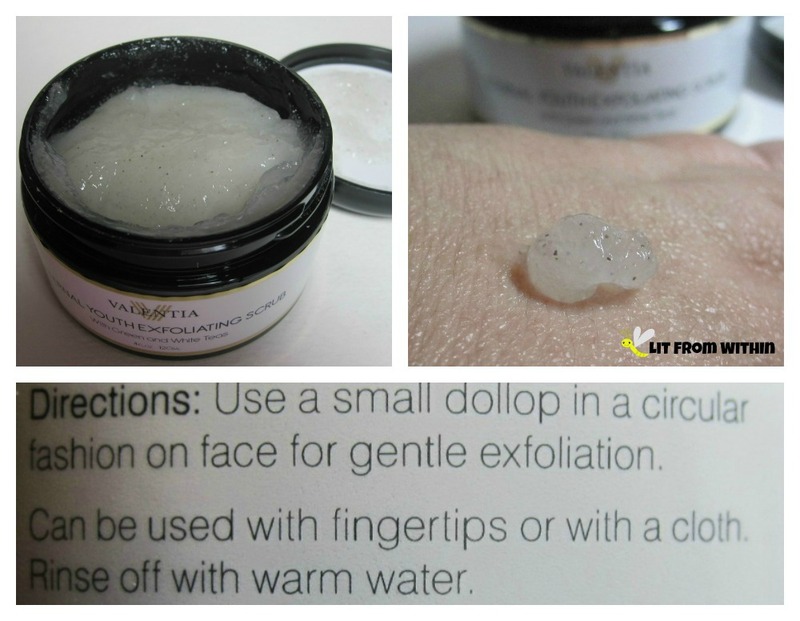 A perfect accompaniment to their gel exfoliating scrub is Valentia's Skin Detoxifying Clay Mask. This is another product of theirs with an intoxicatingly good scent - a little floral, a little fruity. As good as I think it smells, it's also really great for my skin. Kaolin clay is one of my favorite ingredients for gently pulling out excess oil and dirt from my pores, while not being too harsh or drying. 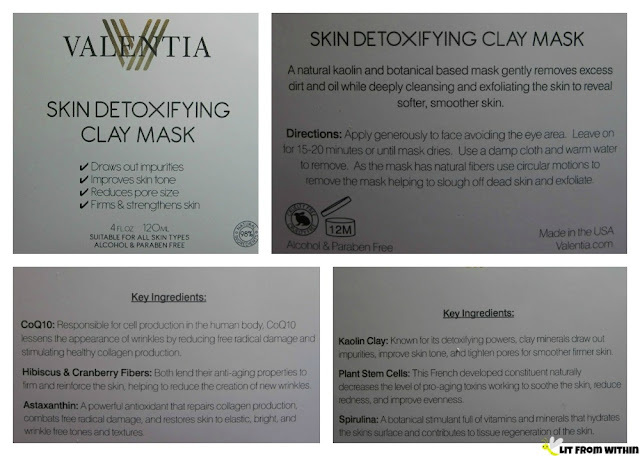 This mask also has ingredients that help create collagen, which make the skin look thicker and plumper. I had been playing with makeup before I put on this mask, and I just decided to try it while I still had some on. Very glam, no? (I feel pretty, oh so pretty..) I should take all of my mask pictures with makeup on! 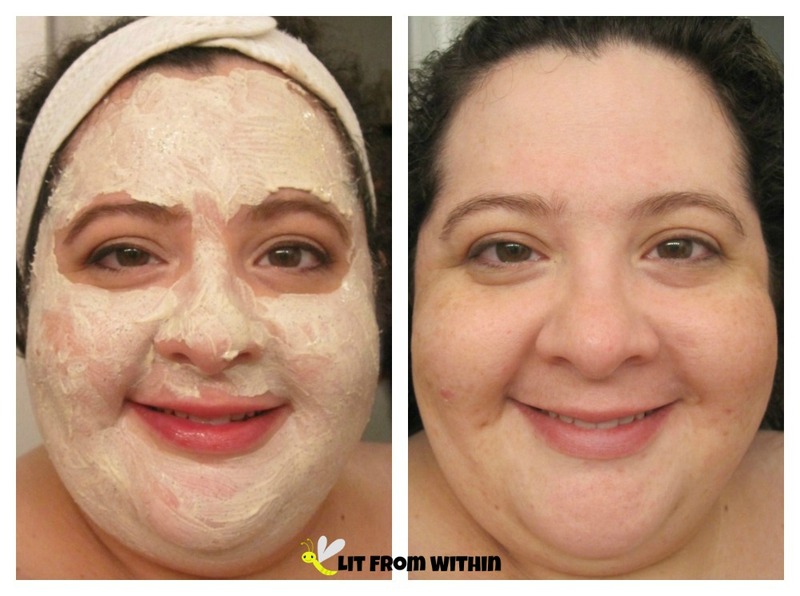 Of course, you really should put a mask on over cleansed skin, but it still did a great job clearing and brightening my skin. If I had my druthers, I'd do a clay mask at least once a week. My skin always feels softer and looks brighter after a good detoxing, and it's such an easy way to take a 20-minute pampering break. Use an old flat foundation brush for a no-mess application, and try putting one on before a shower for an easy, no-clean up rinse. A little "V for Valentia" nailart! The base is OPI First Class Desires, and the chevron French tip is made with OPI Love..Angel..Music..Baby and a white striper. 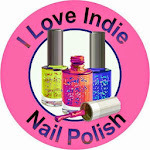 These products are made from at least 97% natural ingredients, are alcohol- and paraben-free, and are cruelty-free, too! 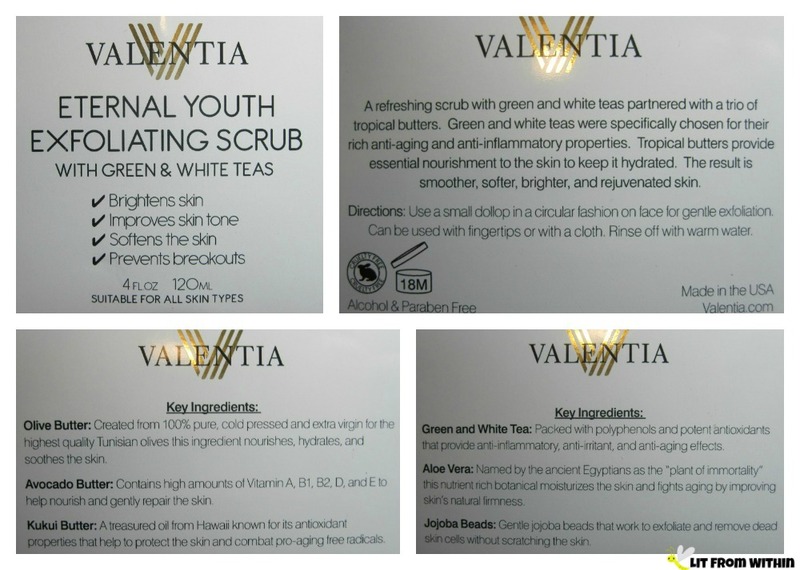 For more information, or to purchase, you can find Valentia on Facebook, Instagram, their website, or on Amazon, where their Eternal Youth Exfoliating Scrub currently sells for $25, and their Skin Detoxifying Clay Mask also currently is retailing for $25. How do you like to spa at home?